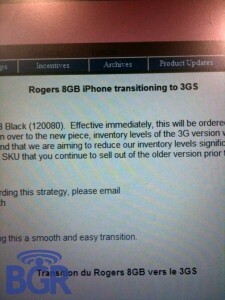 An 8GB iPhone 3GS Coming Soon? You are here: Home / Apple / An 8GB iPhone 3GS Coming Soon? The guys over at the BoyGenuisReport say that they have had a few tips recently indicating that Apple is gearing up to release an 8GB iPhone 3GS. 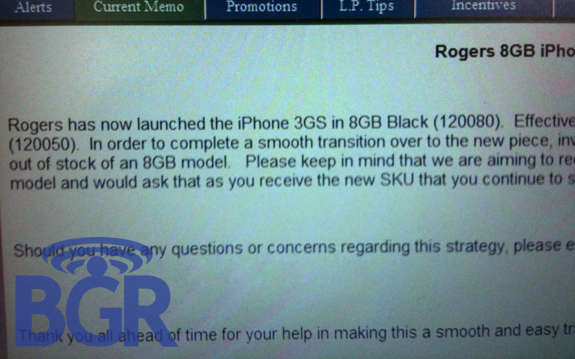 It seems Rogers in Canada is “in the process of shipping iPhone 3GS 8GB flavor handsets to stores.” I’m not big into unconfirmed tips and what not but, it seems the they do have a few images that are slightly more convincing. Thank you all ahead of time for your help in making this a smooth and easy transition. Well if this is true, then I’m getting one. :). Maybe we will see a $99.00 iPhone 3GS after-all! It will be $99. 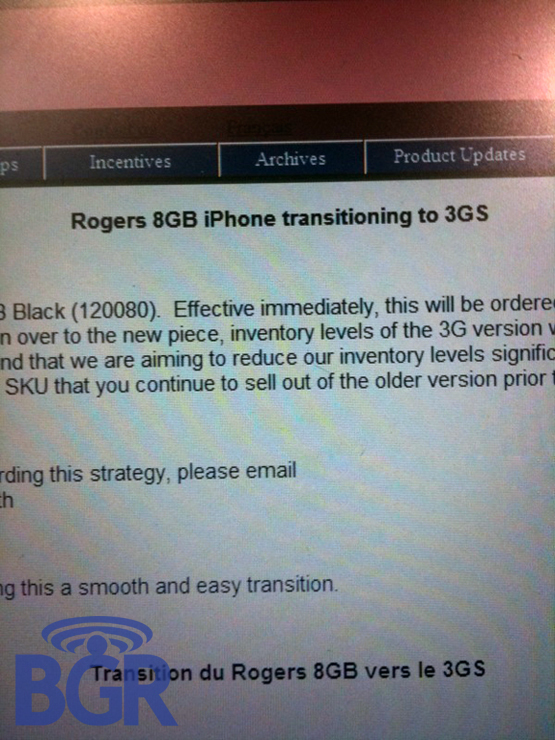 Rogers will discontinue the 3G. WTFudge? Why would Apple even make an 8g 3GS? New Poll – What type of App Store applications do you tend to install most often?